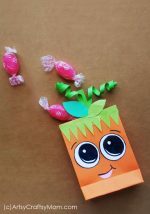 These Paper Weaving Fall Printables are perfect to strengthen and keep those little fingers busy this season!! Also helps to improve concentration and hand-eye coordination in little kids. 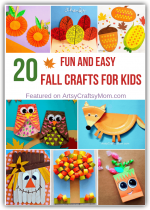 If you ask me, there’s no better way to celebrate Fall than by making some lovely Fall crafts! It’s a treat for the eyes – beautifully colored leaves and fields of sunflowers, brightly colored pumpkins and cute little acorns – and also one for the taste buds, with warm pie and buttered corn on the cob!! Not to mention the festive build up to Thanksgiving Week! 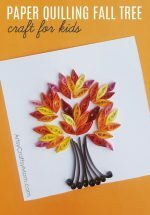 So let’s take a page out of Stanley Horowitz’ book, and make our very own autumnal mosaic – with a set of paper weaving fall printables, featuring 6 of the most adored elements of the season. Want to know which ones we’re talking about? Read on to find out! Printouts of the fall weaving template . Click blue button below to download for free. 1. Download and print the fall weaving template. You can print on colored paper or on white. 2. Cut the craft paper into long strips, about 1/2″ wide. You can also use 10mm wide quilling strips. 2. Cut out the individual shapes carefully along the solid outlines. 3. Fold the shape exactly down the middle, perpendicular to the dotted lines, as shown below. 4. Keeping it folded, cut along the dotted lines. 5. Open up your shape – you now have open slots where the dotted lines used to be. Now, take the colored paper strips and weave them through the slots, moving from one end to the other. Use any color strips of your choice, matching to the shape you’re using. 7. 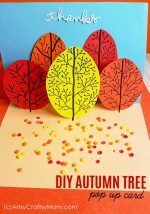 Add details to your fall shapes using markers. If you’ve printed out the plain version, now’s the time to add some color! Quite a pretty mosaic, won’t you agree! 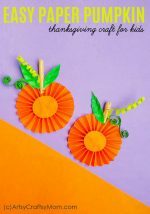 These paper weaving fall printables are multipurpose – they’re a good Thanksgiving activity for kids and helps little kids strengthen their fingers and build hand-eye coordination. 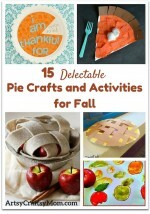 Together with the Free Thanksgiving Preschool Activity Pack, it’s the perfect way to spend time this Fall ! And not just kids; it’s also a nice way for grown ups to practice mindfulness and de-stress when life gets too overwhelming. So take a break from routine, and revel in the beauty of this wonderful season!